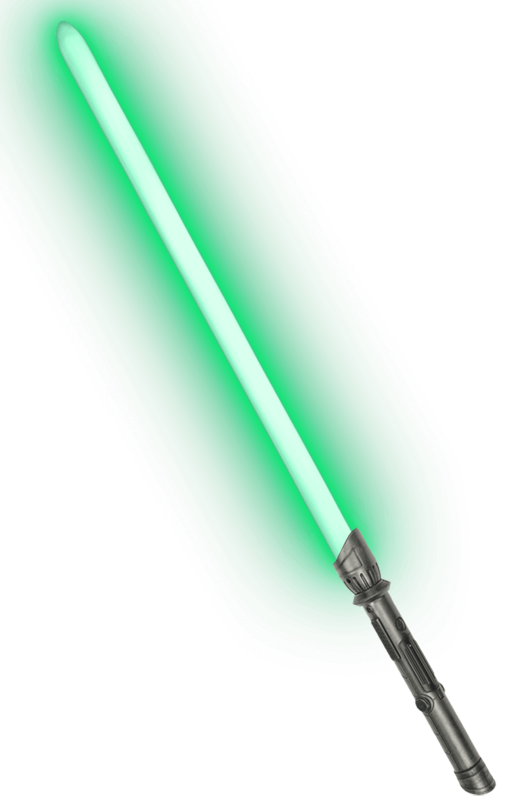 This saber is the basic version of the Calimacil Foam LED Saber. A simple on/off switch on the handle lights up the mono-colored blade. You unscrew the pommel to extract the lithium-ion battery. The charger comes with the Saber. The unique foam is perfectly safe for LARP combat, and is extremely durable. Do note, however, that the foam used on this item is harder than the standard Calimacil blade foam. In addition, though you can go at it pretty hard with these LED Sabers, FULL CONTACT combat is not recommended with this item. Please note that Calimacil is not associated with Lucasfilm LTD, Disney, or any LFL ltd. film or franchise. This is the first commercially available LED Saber designed for, and capable of, sustained LARP combat. In addition, the weight is realistic and it looks amazing! This LED Saber is perfect for warriors and cosplayers alike!